The song was absolutely beautiful – like invisible colors painting the sky in a translucent and uplifting way. The song sang to itself. All day and all night. Alas, the song got bored after many repeats of its song-beauty, so it experimented with different tunes. At first, there were little variations in the melody, rhythm, and harmony. The next thing you know, there were sweeping musical changes. Special frequencies, rhythms and harmonics expand our consciousness. Fibonacci and phi tones and ancient Solfeggio tones are embedded in this soul soothing music (the free mp3s)! Music of the movements of the stars is converted into sounds in this healing music! Also added are associated frequencies of carbon, hydrogen oxygen and nitrogen - found in the stars and in our bodies. Soul therapy and the sounds of flower energy! Frequencies and music to clear negative emotions and build positive feelings! 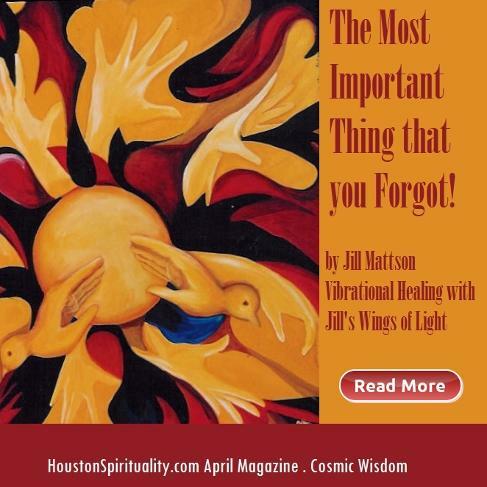 Jill Mattson, a prolific Artist, Musician, Composer, and Author, seeks to further the use of sound in healing. 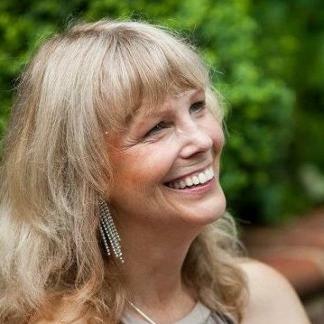 She is committed to teaching techniques that enhance spiritual, mental and physical growth through vibratory energy, and encourages communication and the universal sharing of new information on Sound Healing around the world. 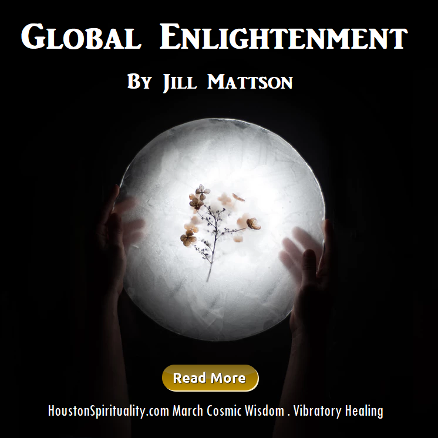 Jill combines her extensive research of modern Sound Healing with the 20+ year study of ancient civilizations and secret societies in her works. 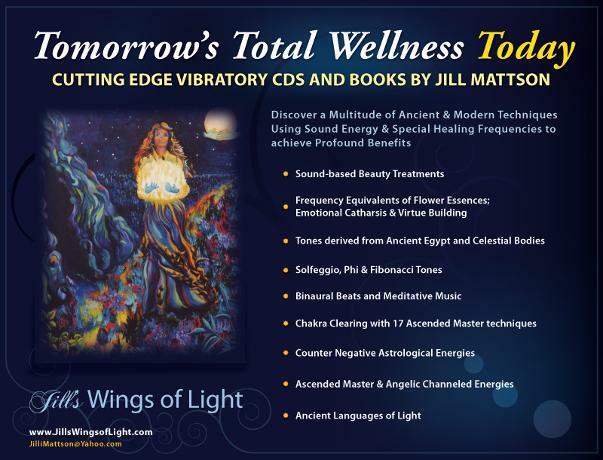 Discover a multitude of Ancient and Modern Techniques using Sound Energy and special Sound Healing Frequencies to achieve remarkable results. Realize Tomorrow's Total Wellness Today! Jill's Wings Of Light . Music as a Force! Music was used to alter civilizations. People created music to change people's thinking and emotions. It was even used - like many people today - use drugs! Several years before the American Revolution, patriotic and freedom songs were popular. The government sent bands to the little towns to get people to enlist. The songs were designed to encourage young men to fight and go to war. American Indians used "war" dances to strengthen warriors "mettle" and aggression. In ancient Hindu history, terrifying sounds were used to unnerve and scare enemies. They used a drum so big that it took many elephants to move it! In the Bible, David played the harp to lift Saul's depression. It is said that that Alexander the Great had his sanity restored by music played on the lyre. The Greek philosophers took people with mental health issues to concerts for therapy. The ancient Greeks believed music had the power to heal the body and soul. They used the flute and the lyre for gout and sciatica. Paeans were a classification of ancient Greek songs that cured specific illnesses. Egyptian papyri, over 2,600 years old, refer to "sound" incantations used as cures for infertility and rheumatic pain. The ancient Egyptians wrote musical notes and letters on paper and the ink-like substance dissolved in water. They drank the water to heal certain ailments. They believed that the vibrations created by shapes and words created a subtle energy, that when ingested, were healing and enlightening. These ideas remind me of Masuro Emoto's work, showing freezing water affected by positive words produced pleasing and beautiful shapes. Angry words created lopsided and distorted patterns. One thing for sure, music was more than entertainment! It was a tool to change people's energy - body, mind, and soul! 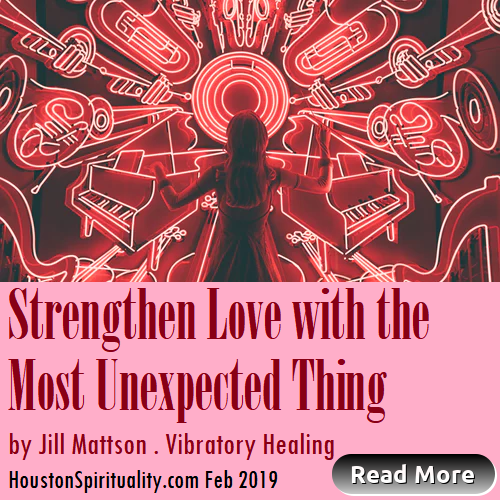 For more interesting information, read: Strengthen Love with the Most Unexpected Thing . 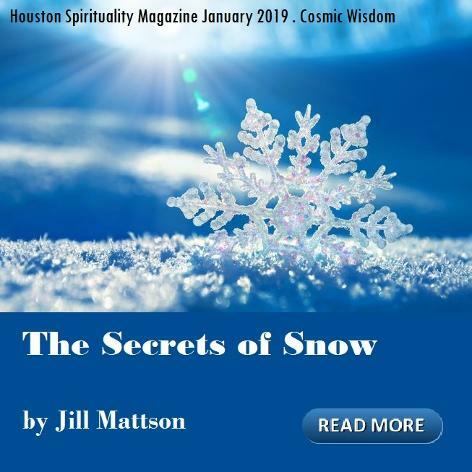 and The Secrets of Snow from January. Using Crystal to open up Chakras above your Head and the 5th Dimension! 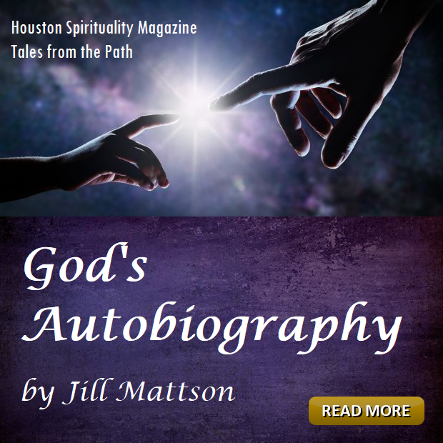 A Sampling of Jill's Healing Music on Amazon. Each cover links to a listen and buy page.